In Australia there is a growing phenomenon I like to call own-little-world-itis that is hazardous to evangelism and disciple-making. One of the symptoms of said phenomenon is the trend to activate your remote controlled garage door on the final approach to your house, and hit it again while you’re halfway up the drive-way with such well-executed precision that the roll-a-door connects with the floor as you turn the ignition off. It’s a very effective way of minding your own business, but a significant barrier to getting to know your neighbours! I don’t know about you, but as a church planter one of the keys to being able to help someone when they need help is proximity. And in my experience, proximity doesn’t happen by osmosis. As a Christ follower, I can’t expect to be involved in bringing people to Jesus if I separate myself from them. I can’t expect a friendly wave to my neighbour will be enough to introduce her to Christ. I can’t isolate myself and my kids from the nasty world and expect to be the salt and the light. We have to be close. We have to live amongst them, invest our time and resources in them, go to school with them, be invited into their homes and invite them into our homes. Ironically (given the previous sentences), we also have to eliminate the language of “us and them” which feeds the behaviour of “us and them” and separates us from the very people we are trying to reach. There was an article in Newsweek in March 2006 by Pat Wingert titled “On Call in Hell”. 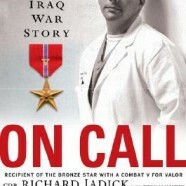 It’s an amazing story of American Navy Lt Commander Richard Jadick who was a navy Doctor who served in Iraq. He was 38 when he signed up for duty. His first-born child just five days old when he shipped out to Iraq. 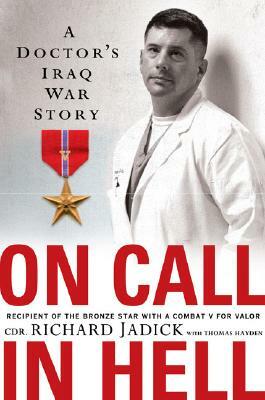 The writer explains later Jadick’s tour of Iraq as a combat surgeon changed the medical world’s approach towards trauma care for soldiers. His attention to proximity saved many lives. In treating traumatic injuries, a badly injured person who gets to the hospital within the first hour, the golden hour, is much more likely to be saved. But Jadick knew in combat the golden hour doesn’t exist. Left unaided the wounded could die in fifteen minutes, and there are some things which could kill them in six minutes. An arterial bleed could kill in three minutes. Jadick realised helicopter evacuations were too risky on the frontline as there was too great a risk of being shot down. Casualties would have to be driven to the hospital. It took Jadick 45 minutes from the base hospital where he would normally be stationed to the battle front. Not close enough he decided. Too far away to save lives. Jadick wanted to push closer to the action and because of this surgeon, this doctor with nothing more than a 9mm pistol, (which would be more effective if you threw it at your enemy than shot them), because of this need for greater proximity, Jadick the combat surgeon joined the troops on the front line. And because he was in the middle of the conflict and not one hour away he saved many soldiers’ lives who would otherwise have died. Think about it for a moment; how far away are you from the people who are going to need you tomorrow? What is the relational distance between you and your neighbours? You and those people around you in your social networks who don’t know Jesus? A lot of us are at least an hour away (figuratively, not literally). If someone was to hit a huge tragedy tomorrow, was in emotional trouble, how much relational and emotional ground would you need to cover in order to help them? In Australia, I don’t think the problem is that people aren’t searching for God, but that there are very few people who are within fifteen minutes relational emotional time of a Christian. It’s not about trying to shove God down people’s throats, it is just about trying to care for people, whether they believe God or not. Being close enough to make a difference.